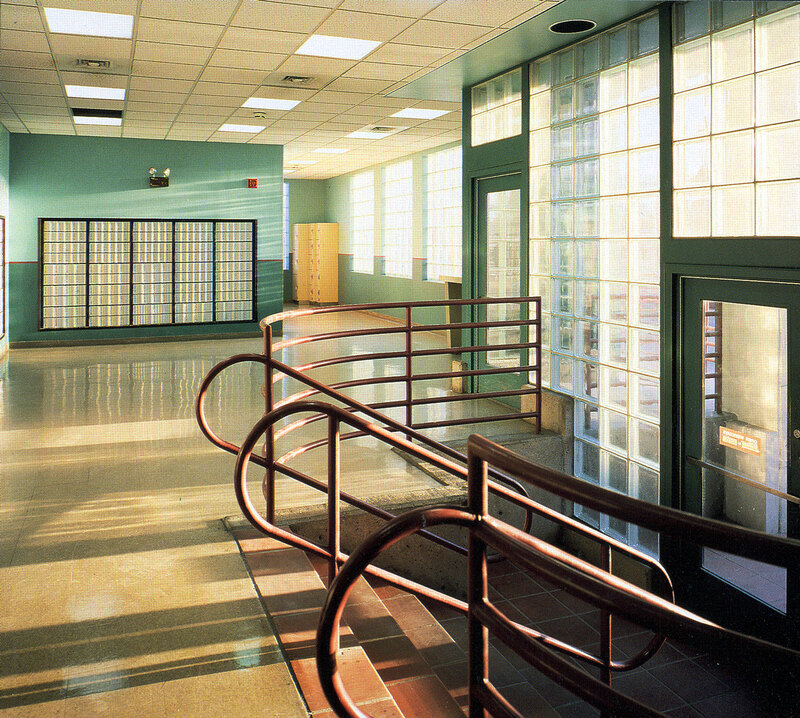 The United States Postal Service commissioned this project to replace an existing facility which was being abandoned. The Roybal Corporation performed a pre- design service which evaluated two proposed sites for the new facility. Based on the results of our analysis, the USPS acquired the site at 11th and Santa Fe and initiated a contract with our firm to develop the program and plan under a fast track schedule. The scope of the work consisted of gutting and extensive renovations of an existing warehouse which would form the core of the new facility, the demolition of structures on both sides of the existing structure to remain, and new construction. Site development required extensive study of existing topography in order to reconcile a three-foot difference in elevation between existing finish floor and exterior grades while providing a handicapped accessible entry to the new facility. Other site concerns included the coordination of vehicular and pedestrian use patterns both on and off sit, and the integration of a new truck dock in the service area. The final design provided staff support areas that included locker and restrooms, and a lunchroom; administrative and operational areas which housed managerial offices, a workroom, storage areas, a vault, customer service lobbies and a mailing vestibule. The integration of all aspects of design and programmatic requirements produced an aesthetic, efficient and sustainable facility.